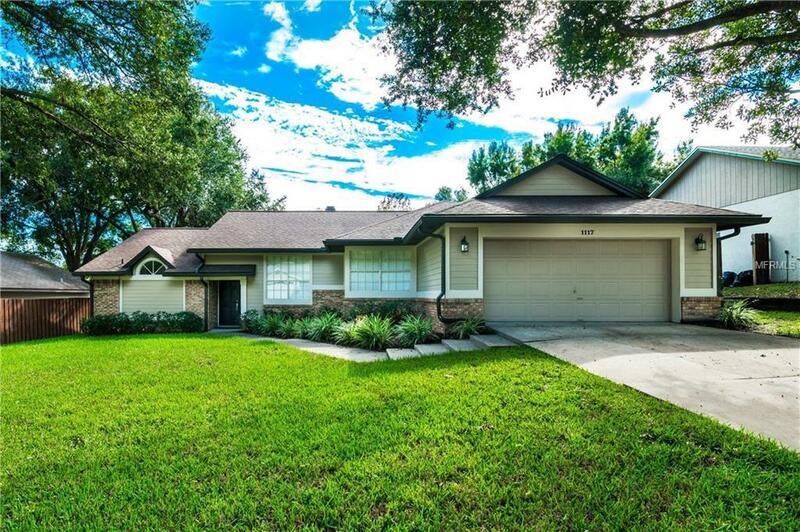 Come home to this beautifully updated 3 bedroom 2 bath home in the amazing community of Rose Hill. Pulling up to the home you notice the gorgeous tree lined streets & manicured landscaping of the home. When immediately entering the home your are welcomed with volume ceilings & beautiful porcelain tile. The split level concept is open & airy, great for entertaining. The eat in kitchen has been updated with all wood cabinets with soft close features & beautiful quartz countertops. The split floor plan is great adding privacy for any homeowner. The master bedroom with walk in closet features high end 12x24 porcelain tile, high ceilings & a nice bench seat to look out the window. The beautiful porcelain tile flows into the master bath that has been updated to perfection, with a quartz countertop vanity, large walk in shower & soaking tub all with high end fixtures. The remaining 2 bedrooms and bath are on the opposite side of the house, both rooms are oversized with large closets. The guest bath has been updated nicely with travertine flooring, travertine in the shower & marble countertop. The family rooms flow to the backyard where you have a great screened in lanai with outdoor carpet & 2 ceiling fans great for relaxing anytime of year, this leads to the nice large deck that is perfect for any outdoor activities, grilling or just enjoying the great weather! Great location with easy highway access makes it very convenient for getting around Central Fl, with plenty of restaurants & shopping nearby. Call now! !